Walls of Jerusalem National Park is located in central Tasmania, Australia, about 124 miles southwest of Launceston. It is part of the large Tasmanian Wilderness World Heritage Area that also encompasses Franklin-Gordon Wild Rivers National Park and neighboring Cradle Mountain-Lake St Clair National Park. 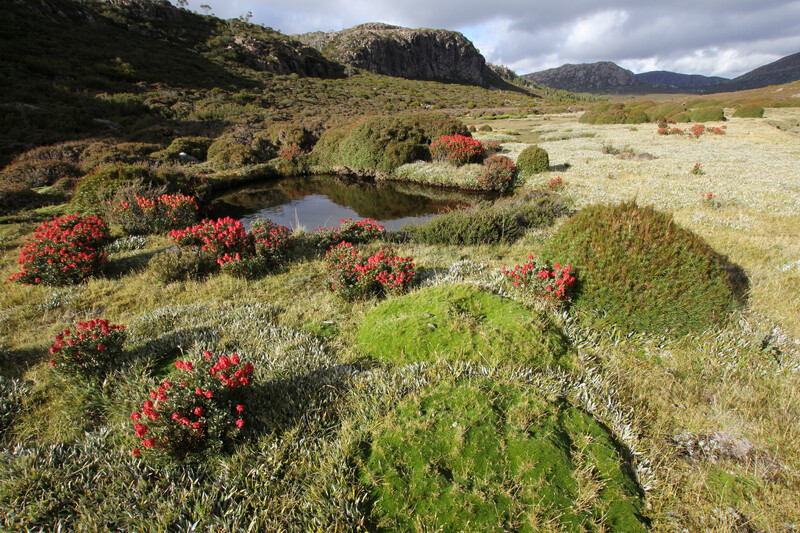 The national park is located in a very remote part of the western Central Highlands of Tasmania. The landscape consists of spectacular mountain ranges and peaks, alpine lakes, tarns, moraines, and old forests. 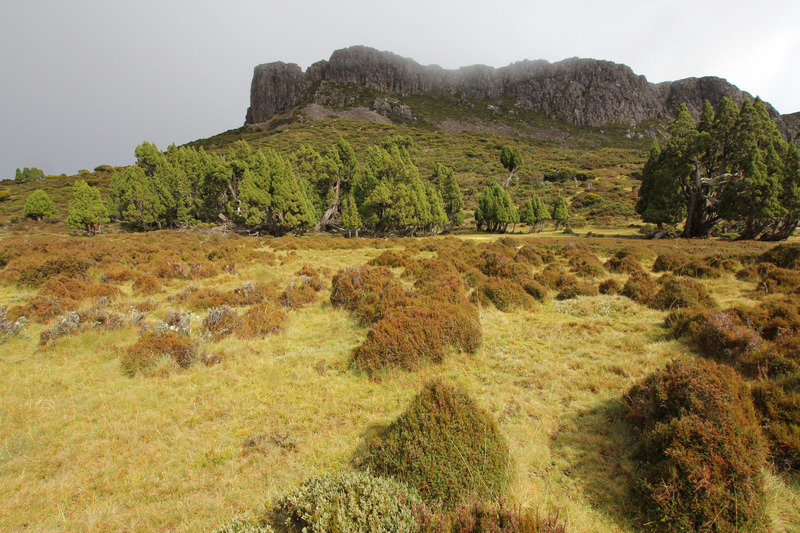 Walls of Jerusalem National Park is not accessible by car – there are no roads – and can only be reached on foot. This makes it a truly wild place and allows it to keep its wilderness feel. 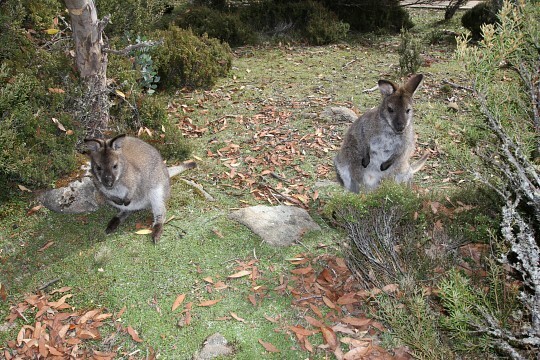 There are virtually no facilities and because the national park’s weather is some of the harshest in Tasmania, people are advised to be prepared and informed when visiting. 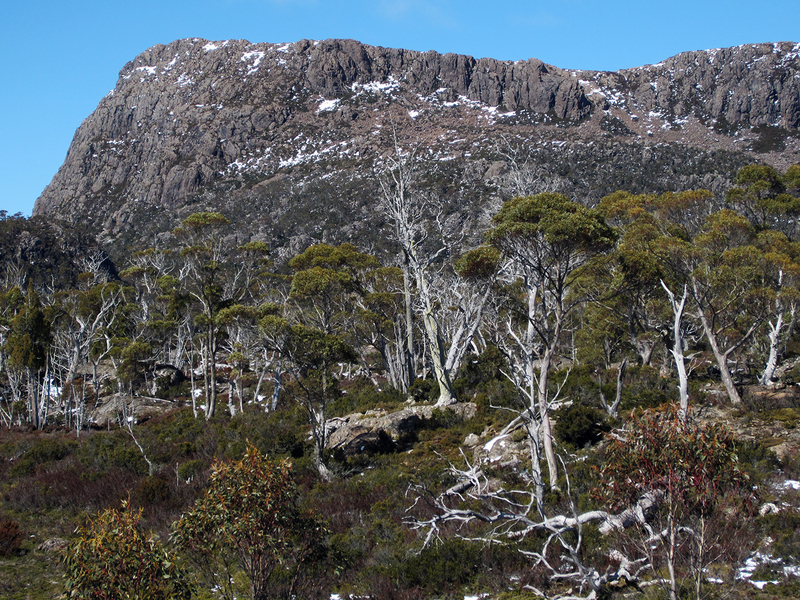 The Walls of Jerusalem National Park’s dolerite peaks are dominated by alpine vegetation and endemic conifer forest. Typical vegetation of the park is Bolster Heaths and Pencil Pines. Maps of surveyor, James Scott, from 1849 have the name ‘Walls of Jerusalem’ on them. 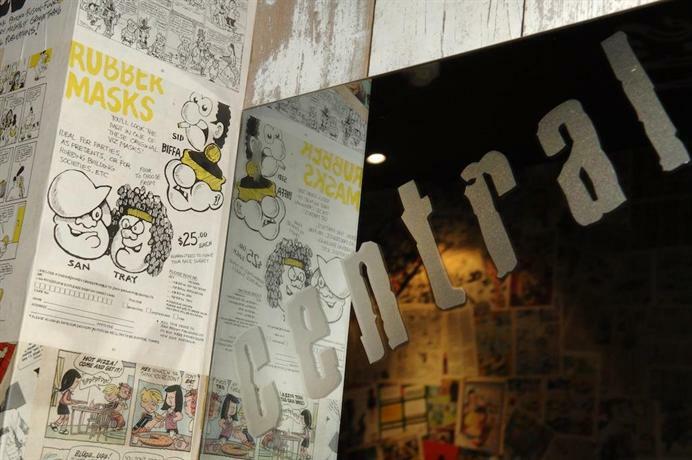 The name comes from the dolerite mountain ranges and walls that resemble the walls of the city of Jerusalem. Many other features and landmarks in the national park bear Biblical names. Examples are Solomons Jewels, Lake Salome, Damascus Gate, Pool of Bethesda, Herods Gate, and King Davids Peak (also known as the West Wall), which is the most well-known feature of Walls of Jerusalem National Park. This is a wild and remote national park that can only be accessed by foot. 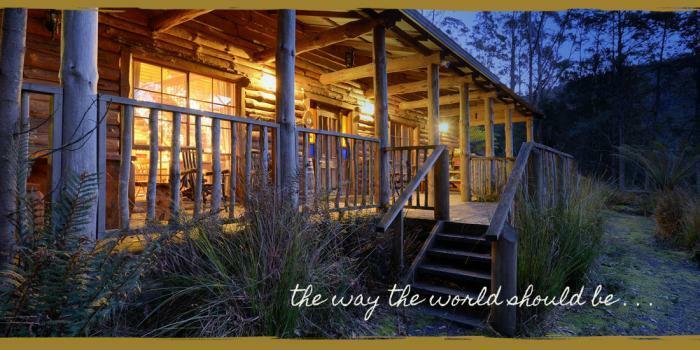 There are no facilities whatsoever, except for some basic toilets at Wild Dog Creek. Walls of Jerusalem National Park offers the ultimate wilderness hiking experience. Visitors are strongly advised to be prepared, experienced, informed, and to carry sufficient clothing and supplies, as well as proper maps and a compass when hiking in the park. 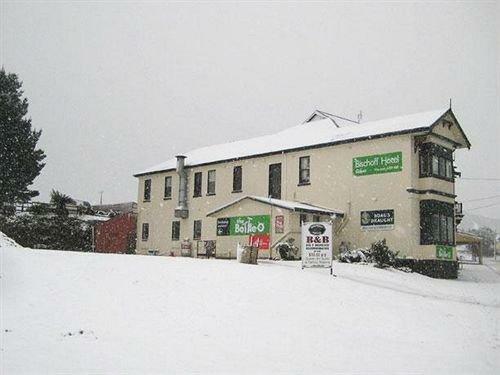 The Tasmanian weather can be extreme and can change rapidly. Weather conditions can range from scorching sun to heavy rain and snow, sometimes even within the same day. 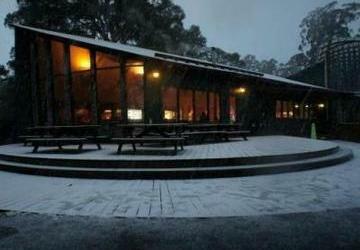 In Walls of Jerusalem National Park it is not only the landscape that is the experience, but the weather as well. Everyone who enters the national park should be self-sufficient. People who are prepared are in for the adventure of a lifetime. The remoteness of this virtually untouched wilderness offers hikers and cross-country skiers the opportunity to explore this region and to test their abilities. Visitors have to leave their cars at the parking lot near Lake Rowallan. From there, a hiking trail leads visitors to the entrance of the national park and towards Herods Gate. This is where the alpine regions and plateaus begin. The trail continues to Dixons Kingdom and Mount Jerusalem. There is a campsite at Wild Dog Creek with basic toilets. Hikers are required to carry tents, as the huts in the park are only available for emergency shelters. There are hardened trails to Damascus Gate, Solomons Throne, and The Temple. Visitors are warned not to wander off the tracks as most of the area is true wilderness without signs or paths. While it is in fact possible to see a part of the national park on a long day hike, it is suggested to spend at least two or three days exploring the inner regions. The campsite at Wild Dog Creek is a good base for further hikes to the Inner Walls. Visitors are not allowed to light campfires, as the whole area is a ‘fuel stove only area’. Tips for a successful hiking trip in Walls of Jerusalem National Park include not walking alone, being prepared, letting someone know what you’re doing, logging into the log books, carrying proper equipment, food and clothes, and being prepared to turn back whenever necessary. Walls of Jerusalem National Park lies about 124 miles southwest of Launceston and 93 miles northwest of Hobart. The drive from both cities takes about two hours. 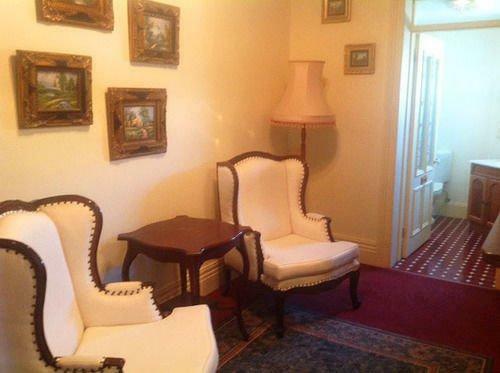 The nearest town is Mole Creek. The park itself, however, is not accessible by car. Access to the park is from the parking lot off Mersey Forest Road at Lake Rowallan. Visitors can get to the parking lot along Mersey Forest Road. Right after Fish River, a gravel road on the left leads to the parking area. From the parking lot, it is a half-hour hike through the woods to the actual border of Walls Jerusalem National Park. Herods Gate and the beginning of the exposed plateaus is a further two-hour hike. There is no public transportation to the national park. 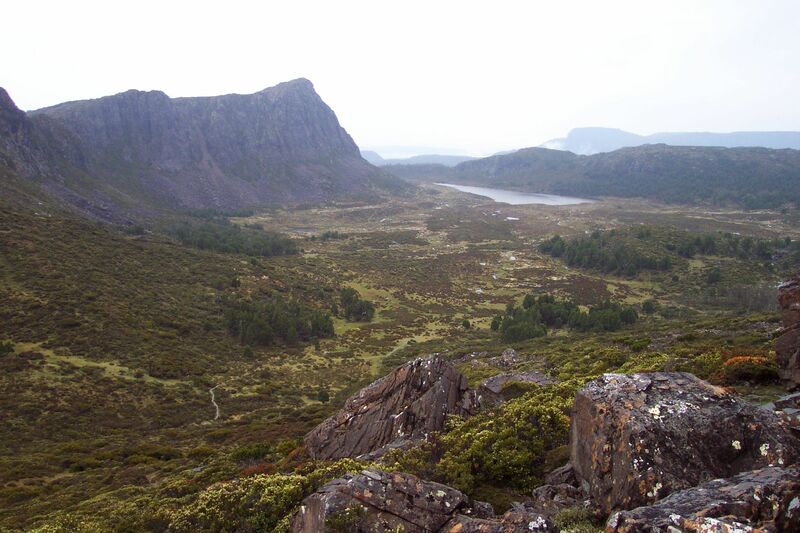 Walls of Jerusalem National Park is part of the much larger Tasmanian Wilderness World Heritage Site. Other similar wild and rugged national park in the area are beautiful Cradle Mountain-Lake St Clair National Park and utterly wild Franklin-Gordon Wild Rivers National Park. Further south lies Mount Field National Park.